BEST PRICE AND SERVICES ANYWHERE IN NJ! We can make cost reduced sewer line repair or replacement! As a long time sewer line repair company in NJ, we have over 25 years of experience working with sewer and drain pipe lines repair and replacement in New Jersey. Sewer repair in nj may be expensive and difficult if you choose to work with an ordinary plumber or an inexperienced sewer line repair NJ company. With our experience, knowledge, and modern technology, we can repair any sewer laterals discharge drain pipe problem in new jersey at a lower cost (sometimes up to 30% off!) and also minimize the time that your home or facility is out of use. Some of our NJ sewer repair service technicians have sewer repair and sewer installation experience of over 25 years, and have worked on projects in the past with many variations of sewer repairs underground, so we can save you time by doing only what’s necessary and give you the BEST PRICE and service to complete it right! Many sewer repair companies push heavily for trenchless sewer repairs because that is their main area of expertise, arguing that trenchless sewer repair is cheaper and cleaner than sewer repair by excavation. This is sometimes the case but very often it may be cheaper to do an excavation spot repair in the area of the damaged sewer pipe and repair only the broken area of the sewer line instead of re-lining the entire sewer line. This is when its beneficial to work with an experienced sewer repair company that offers a variety of sewer solutions and can offer you the cheapest reliable sewer solution available. We can help you solve any sewer problems, waterline and sewer repair or replacement, sewer installation or septic at at affordable low cost and in a minimum time. A broken sewer line can be difficult to diagnose in a timely matter as your sewer and drain line is underground. Usually a broken sewer will cause repeated backed up sewer lines and this is one of the most common ways we know that the sewer line needs to be investigated. Usually, a homeowner will have a sewer backup and call a plumbers to unclog the line. The plumber will unclog the backed up sewer line and the homeowner will move on. A month or two months or 6 months later however the sewer line will be clogged again. 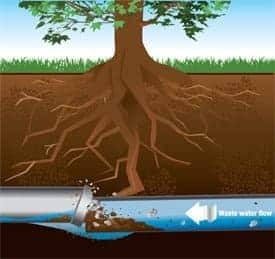 This indicates that there is some problem with the sewer/drain line, like a damage broken sewer pipe, tree roots in the sewer line or a sewer belly. All Sewer repair NJ – home – commercial sewer repair – municipal sewer repair nj projects. If you’re having problems with your NJ home’s sewer line, don’t wait to call for sewer repairs. The problem will only get worse, and messier, as time goes on. Call our experienced NJ sewer repair contractors at A1 Sewer & Drain for fast, reliable emergency sewer repair, sewer cleaning, and more throughout New Jersey. We’re available for sewer cleaning with hydro jetting, sewer repairs, and more in Bergen County and ALL areas of New Jersey. We specialize in nj sewer pipe repair. Using cutting edge technology, we focus on fixing sewer problems in a way that’s as noninvasive as possible for the homeowner. 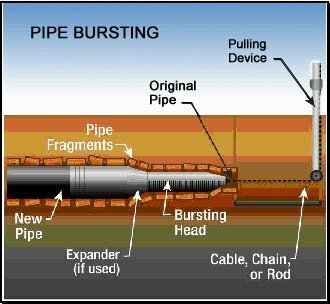 Some other companies might charge a fortune to run or replace a new sewer pipe because of a broken pipe, instead of doing local repairs, or using smart techniques so as not to dig up and replace the entire line. Sewer repair requires experience and knowledge of all the possible sewer repair techniques and how they run in real time. Trenchless sewer repair may be the quickest cheapest sewer repair method for some broken sewer lines, but in many cases its not necessary. Sometimes the quickest and cheapest sewer repair option in nj is the old fashiones solution of digging up a few feet of the broken sewer line and replacing the broken sewer pipe rather than trenchless sewer replacement for the all or some of the sewer line. 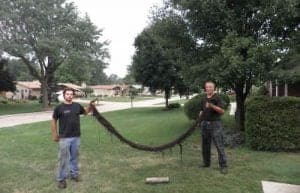 With modern trenchless sewer repair techniques like sewer pipe relining in nj our nj sewer contractors can usually fix the problem without tearing up your yard. Your lawn. No one wants to deal with huge, unsightly holes on their lawn. If you’re like many New Jersey homeowners, you take great pride in a lush, well-maintained lawn. We’ll keep your grass safe while we’re repairing your sewer problems. Your gardens and landscaping. Don’t worry, we won’t dig up your garden to repair your sewer lines. With A1 trenchless repair service, your trees, flowers, and plants won’t be affected by our sewer repair work. Your driveways, patios, and other concrete areas. In the past, sewer repair companies sometimes had to damage a homeowner’s patio or driveway to access the sewer line. Fortunately, this is largely a thing of the past. Tearing up your driveway is a messy, expensive problem, but it hardly ever happens anymore– even if your sewer is located below it. You want an experienced sewer repair company nj to help you when you have a problem with your sewer line. Experience is really what matters, an experienced sewer contractor nj will have seen it all and know how to get around the obstacles unique to your property and your sewer line problem. Many sewer company in nj will give you a low estimate knowing that once they dig underground they can present you with a new can of worms… or they present you with a new can of worms later because what they thought they saw on the sewer video inspection was not what they found in reality. Sewer line repair and sewer line replacement requires a lot fo technical knowledge and experience solving sewer problems for properties in NJ. Don’t get caught with an inexperienced sewer replacement company nj, Call A1 today! Old pipe repair or replacement? Older sewer pipes don’t necessarily need to be changed. Our experienced NJ sewer and drain contractors can repair damaged sewer pipes, so that they can be used for another 20 years!